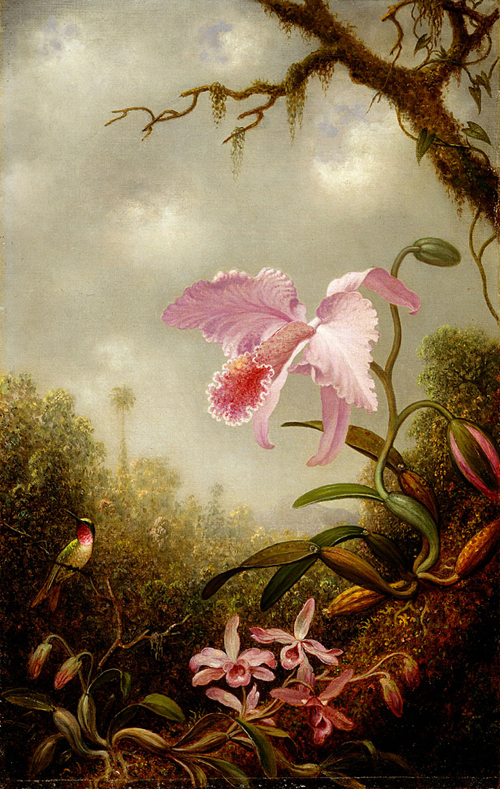 Two masterpieces of nature - the hummingbird and the orchid - were subjects that Martin Johnson Heade painted repeatedly. Beginning in 1863, Heade made the first of three trips to Brazil to paint the bird that remained a life-long obsession. Heade wrote, "A few years after my appearance in this breathing world I was attacked by the all-absorbing hummingbird craze and it has never left me since." The exotic South American jungle was a far cry from the marshes and fields of Heade's native New England, but both landscapes inspired his passion for the natural world and nurtured the intertwined development of his scientific interest and his artistic brilliance.